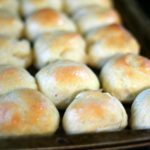 During the fall and holiday seasons, I tend to bake and cook a lot. The weather is cooler, we tend to have more parties, and don’t get me started on the spread I make during Thanksgiving and Christmas. It’s during these months that my all my kitchen gadgets get used to the max. 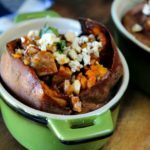 I love stocking my freezer with easy to cook meals and sides. By doing this, I eliminate a lot of the time I have to be in the kitchen. This allows me to not only stock up for the upcoming holidays, but it affords me the time to be able to hang out with my family and friends, instead of being stuck in the kitchen in front of the stove. There are several kitchen appliances I use to make this happen, but my newest favorite? 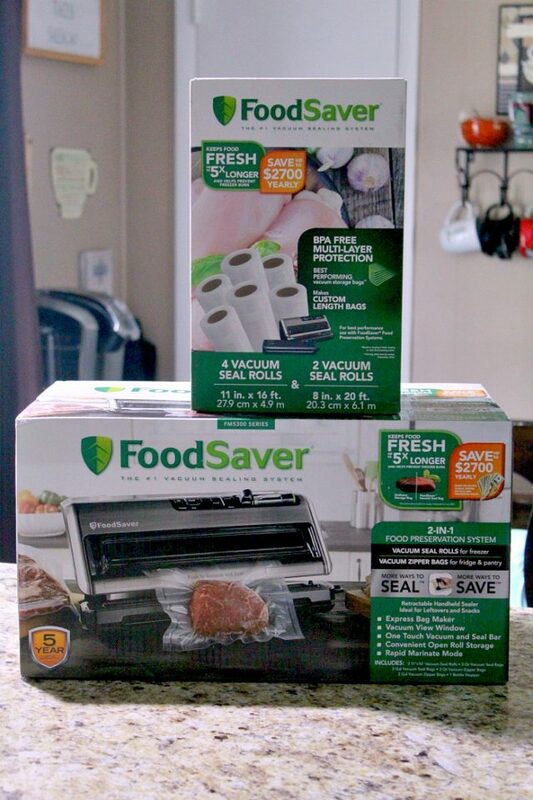 The FoodSaver® Vacuum Sealing System which helps me accomplish both of my freezer meal tasks — saving me time and money in the kitchen! In fact, it helps me to keep food fresh for up to 5x longer than ordinary storage methods like zipper bags, foil, plastic wrap, and containers and helps prevent freezer burn. 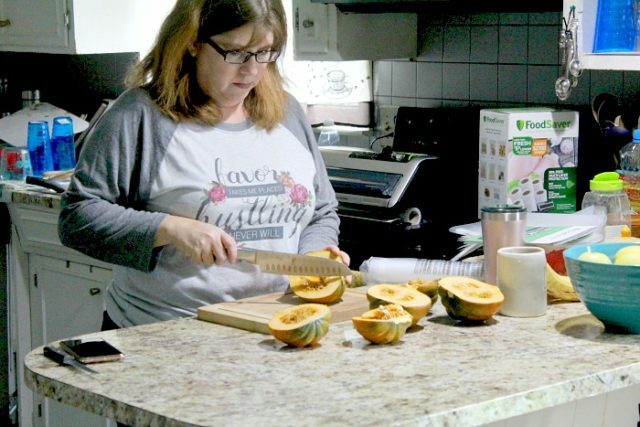 I recently used my FoodSaver® to make one of my very favorite side dishes — Roasted Parmesan Acorn Squash. 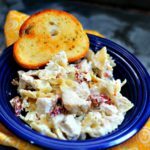 This recipe usually takes from start to finish about 45 minutes to an hour to prepare. But, with my easy time-saving tips, you can cut that time down in half — plus not to mention all the money you will save in the long run. I love to stock up on meats, fruits, and vegetables when the supermarket has them on sale. However, I will be the first to tell you that I will let something go bad quicker than anyone I know(I tend to forget about what I buy because our refrigerator is so full and everything gets pushed to the back). 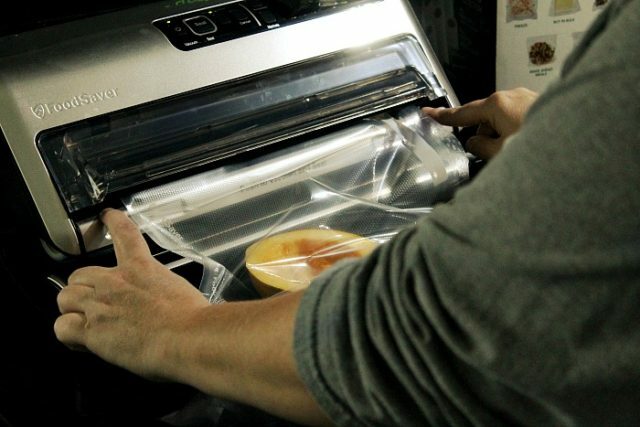 Now that I have the FoodSaver® Vacuum Sealing System, I no longer have to waste money when I purchase my groceries. Right then and there, I can prep everything and seal them in the FoodSaver® Heat-Sealed Bags and Rolls, which are multi-layer, BPA-free vacuum-seal bags are flexible enough to hug food and seal effectively without gaps. These bags are the best for long-term freezer storage, blocking out air and helping to prevent freezer burn. 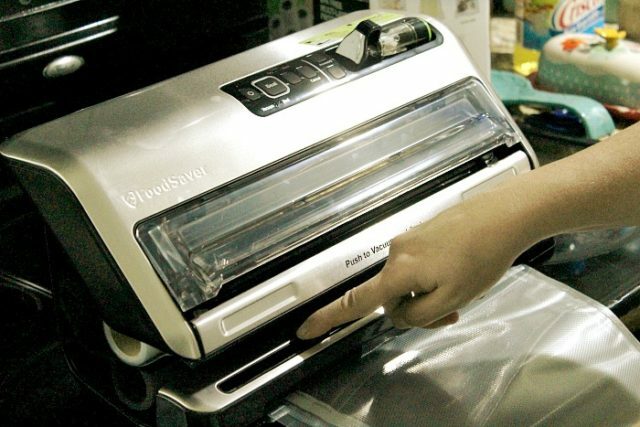 You can find the FoodSaver® FM5330 along with the replaceable FoodSaver® Heat-Sealed Bags and Rolls at Kohl’s and Kohl’s.com. If you are like me, you know you have some coupons and Kohl’s cash laying around, making this an even better money-saving investment. Now, if you really want to cut down on time in the kitchen, keep in mind that this kitchen appliance can help you create some fantastic freezer meals, as well as sides and keep food fresh in less time with fewer steps that older models, like the FoodSaver V4440 Models. Not only that, but you can marinate meats in minutes instead of hours, and don’t get me started on how quickly you can batch cook and meal plan with this bad boy! During the fall holiday season, life can get busy — with ball schedules for the kids, school performances, and even when family comes over. 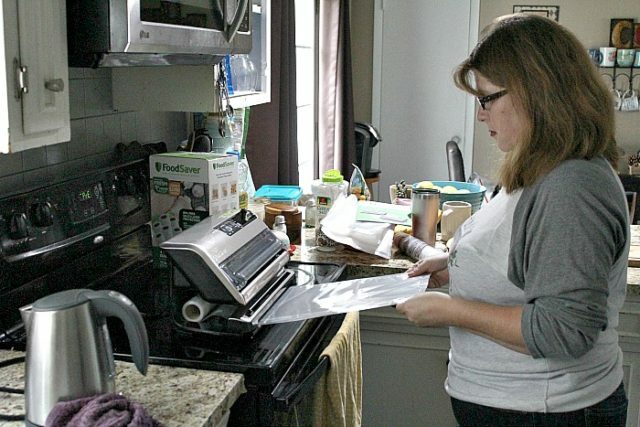 If you need to put together an easy meal, let the FoodSaver® Vacuum Sealing System help you do that. 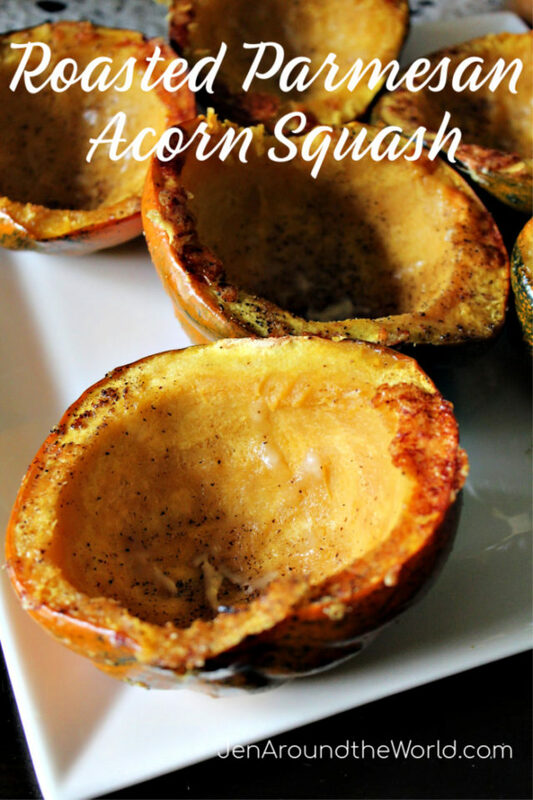 And the perfect side item to make is my Freezer Parmesan Acorn Squash. There are 3 actual ways you can make this side dish — 1) you can freeze them before cooking them at all 2) You can partake them and freeze them cutting down on the cooking time 3) You can cook them all the way and then freeze them for later use. 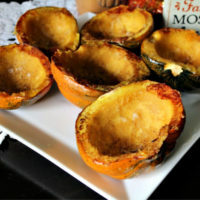 This delicious roasted Parmesan Acorn squash can be made ahead of time and frozen until ready to use. 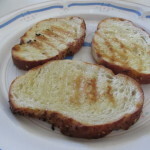 Sprinkle on Parmesan Cheese and bake for 15 minutes. 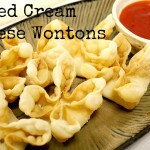 After 15 minutes, place cut side down, and bake for an additional 15 minutes or until soft. Serve with a favorite meat of choice. 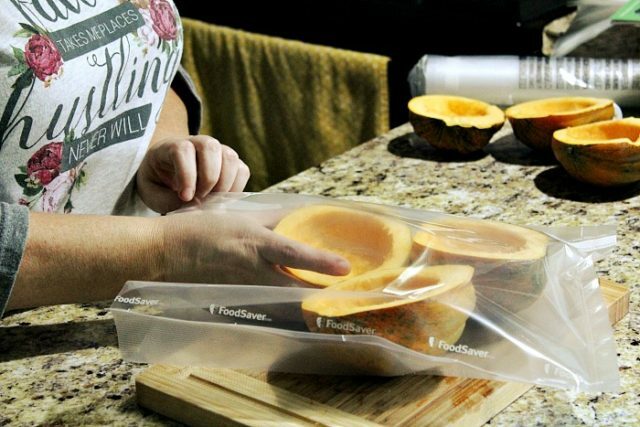 You can make this and place in the freezer using the FoodSaver® Vacuum Sealing System and FoodSaver® bags and rolls. 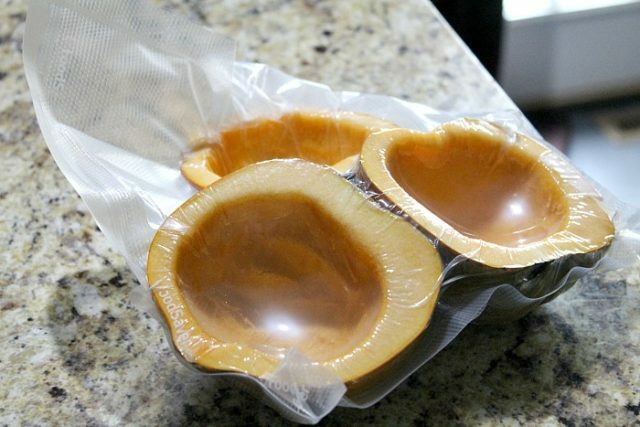 Start by slicing all your acorn squash in half. Normally I only buy one of these at a time, but they had them on markdown to .50 each, so I knew I had to buy in bulk here. You clean these out just like you would a pumpkin. 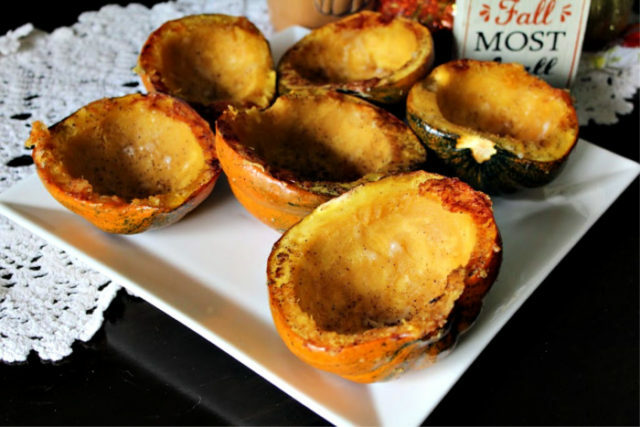 Take a spoon and scoop all the seeds and pulp out making for a clean cavity inside your acorn squash. Now at this point, you can put them in the FoodSaver® Heat-Sealed Bags. 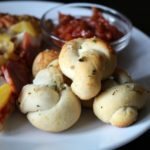 Start by creating a bag from the roll. You have to create a seal at the bottom. Once you do that, then pull the roll out to the desired size of bag you need. Using the cutter option, cut across the top and remove the bag. Open it up and place your acorn squash inside. If you are using the zippered bags, you will need to use the accessory tool to remove the air and seal your bag (which is one of my favorite functions of this kitchen appliance). I chose to use the rolls instead of the zippered bag. 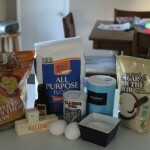 Once you create your bag and place the contents of your food inside, now comes the fun and easy part! Place the opened end of your bag into the vacuum and seal portion of your machine and press the lever down. Now — watch the action happen! In no time at all, all the air will be sucked out and the bag will be sealed. You will lock in all the freshness of your food, and now at this point, you can freeze until ready to use! When you are ready, take the bag from the freezer and cut open and remove the squash from the bag and place cut side up on a sheet pan. Drizzle them with olive oil and sprinkle on some salt and pepper. 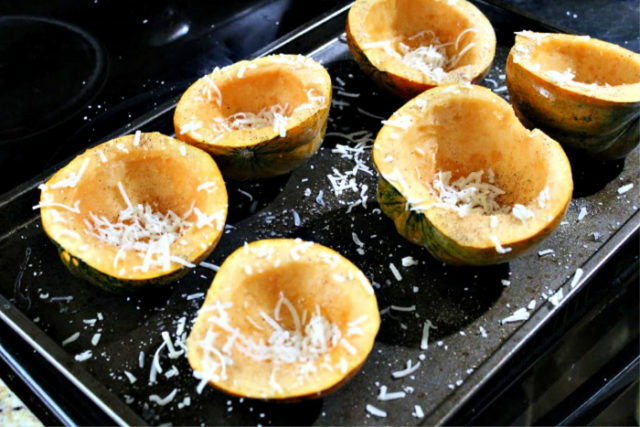 Grate some fresh Parmesan and sprinkle all over the acorn squash. Now roast in a 400-degree oven for 15 minutes. Remove from oven and place cut side down to brown the Parmesan and roast for an additional 30 minutes. 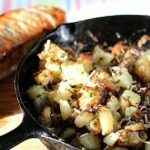 Remove from oven and serve alongside your favorite meat of choice. Now that I have found a new way to help me stock up on delicious meats and vegetables, let me tell you how stocking up with FoodSaver® bags and rolls this harvest and holiday season can get you closer to NYC! 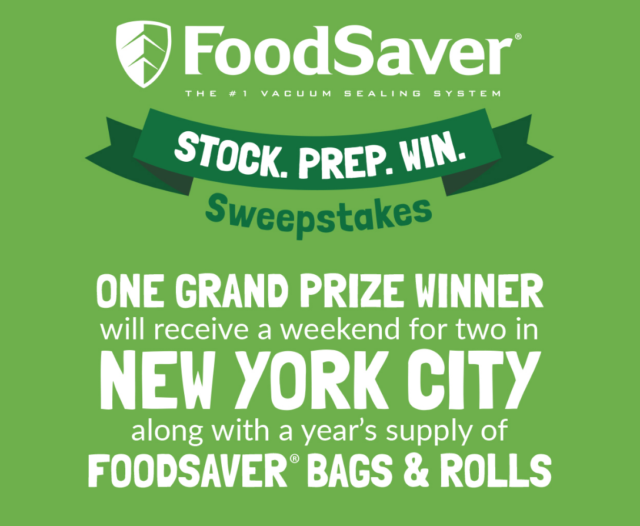 This sweepstake is running through October 21, 2018, and by purchasing the Foodsaver system, you can win a trip to New York City and a year supply of product! How awesome is that? What is your favorite foods to stock in the freezer?